What Do Different “message Statuses” on the Desktop App Mean? /Desktop - Windows & Mac Apps /Private & Group Chat /What Do Different “message Statuses” on the Desktop App Mean? 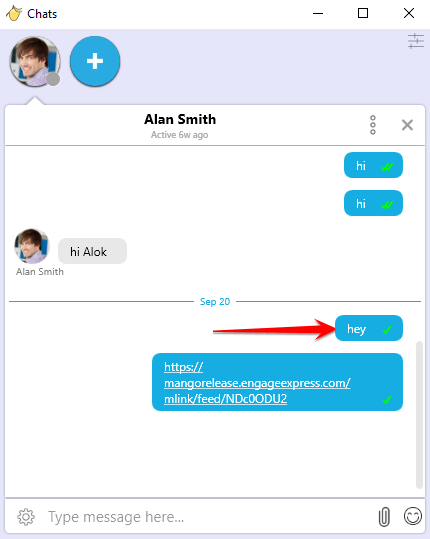 Messages statues enables the end-user to find the final status of message after it is sent. There are 5 message statuses available in MangoApps (Both web and Native App). IM delivery successful: This means your message sent was received by the server (will now appear in history), and it appeared in the desktop client on your colleagues computer. This means it either popped up in a chat box, or was minimized and blinking for new IM based on their settings. IM delivered to server: This means again your IM was received by the server and will appear in history, but it means the colleague was NOT signed in to desktop. They would have been logged on Web or Mobile at the time. IM delivery failed: This means your message did NOT reach the server. You need to check your internet connection. Delete on Read: This means that the message will auto delete (after 2 minutes) after it is read by the recipient. 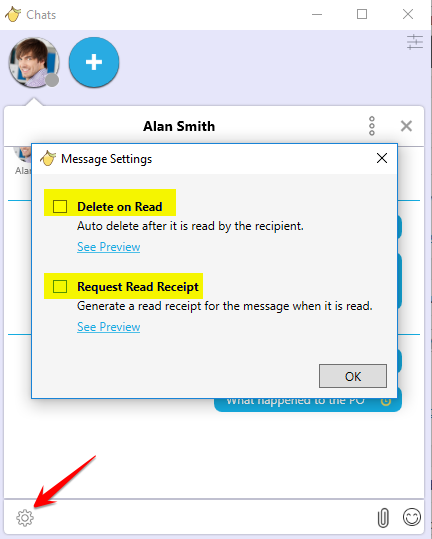 Request Read Receipt: This means that a read receipt will get generated for the message when it is read. How Do I Configure Who Can Send Im? How Can Admin Control Chat Content Deletion in Mangoapps? How to Mute a Team in Mangoapps? 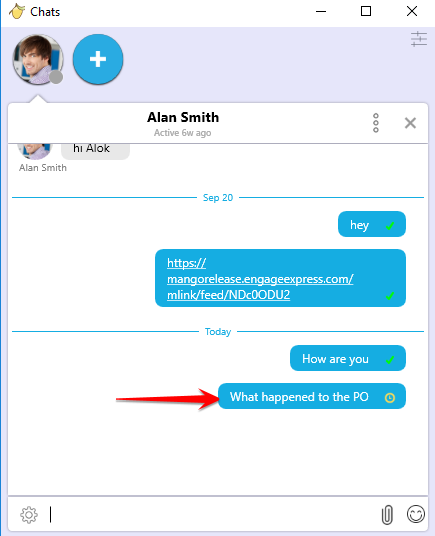 Does Mangoapps Include Im So I Can Open a 1-to-1 Communication Directly with My Colleague?